In this podcast series, you will learn easy and beneficial techniques you can use to start or end your day. We are busy in this day and age, but taking the time for meditation, even for five minutes, can make a difference in how we approach the day. Look at this as a start for a meditation practice but know it is only the beginning to what you can achieve with a sustained meditation practice. This series will explore meditations from ... See More different traditions. Use one or all and find what works for you. 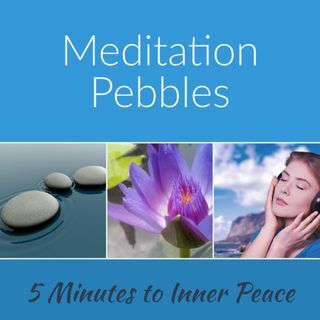 Besides this podcast, on our website, you will find information on our 21 Day Meditation Challenge, Meditation Online Classes, Personal Instruction and Coaching and much more we will be offering to support your meditation practice. Also find us on Facebook, Twitter, and Instagram where we post a daily meditation quote.